For a left handed setter, who receives a good pass, the ball will get to your dominant hand first, which means that you can dump the ball faster and disguise it more, making it difficult for the defense to see the tip coming. The video below shows examples of effective left handed setters and how the blockers playing against them aren't following the first of the 5 basic rules about communicating to their defense that there's a left handed setter in the front row. 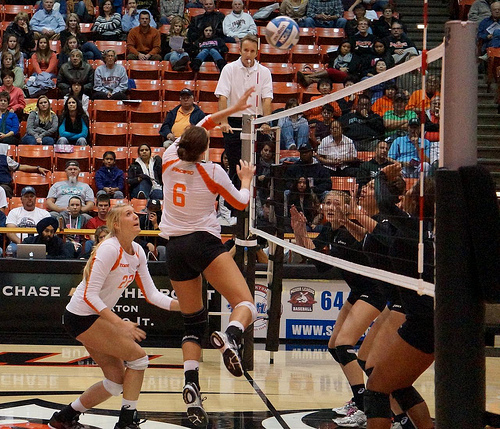 Check out why you need to keep an eye on any left handed setters your team may have to play against. ...which is a spot on the court that's more difficult for a right handed setter to tip to without letting the opposing team's defensive players know that she's planning on doing it. 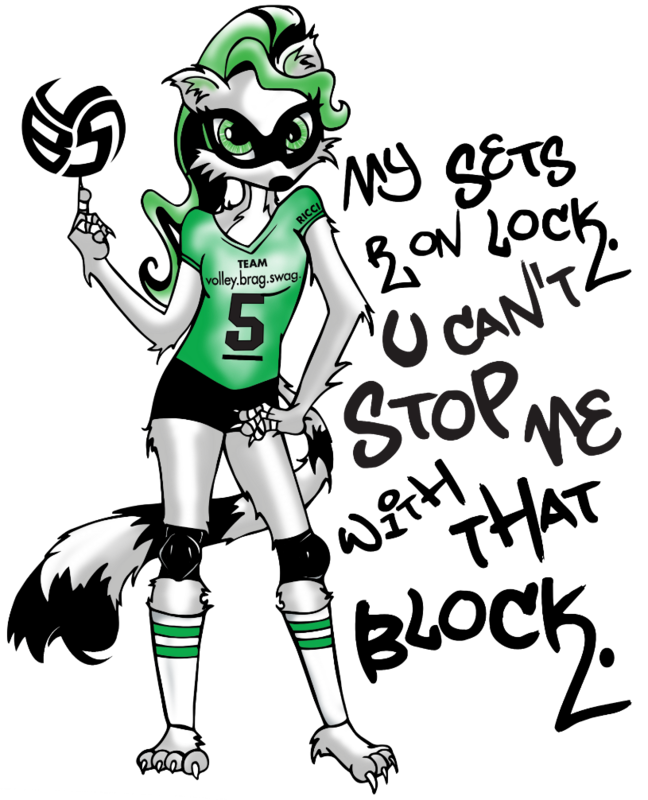 If you're the left side blocker who's calling out where the setter is and you tell everybody that you are going to stay on her, then that opposing team's setter will think twice about tipping the ball into your court. 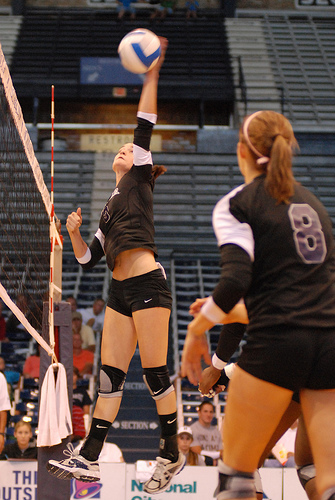 If the setter does not hear the blockers on the opposing team telling each other that she is front row, then she will feel very confident in trying to tip the ball over them, for a quick and easy point. The importance of talking out loud to your teammates about where the left handed setter is when she's in the front row, will also increase the chances of you winning a mental game with the setter by making her think twice about attacking anything while she is in the front row. Check out this Titan video featuring some of the best setters and left handed attacks and dumps in the world.